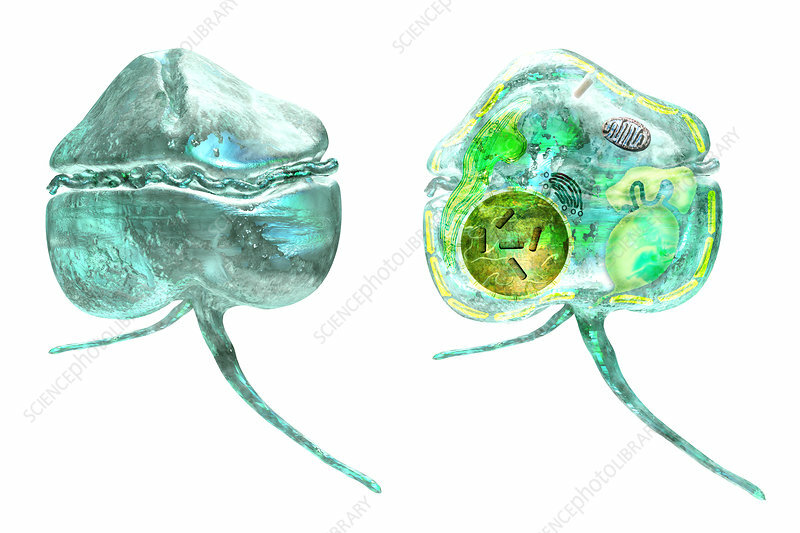 Kerenia bravis is a dinoflagellate whose rapid growth causes the phenomenon known as red tide off the coast of Florida to Texas and throughout the Gulf of Mexico. Kerenia bravis produces brevatoxin which can be deadly to sealife. Illustration of exterior (left) and interior (right).